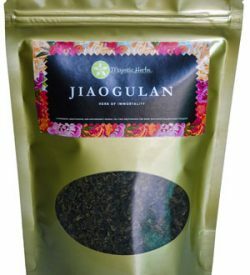 What does Jiaogulan tea taste like? Jiaogulan’s taste is very pleasant and mild. It reminds of the taste of green tea, however it is somewhat sweeter. What effects should I expect from Jiaogulan? The effects experienced from daily consumption of Jiaogulan can vary greatly between individuals. It depends on your overall physical and mental health, age, stress level, energy and fitness level, etc. For young and healthy people, Jiaogulan’s effects are likely to be subtle, with a calming, yet energizing effect. You will feel like stress does not affect you as much as it used to, and you will feel more energy when doing physical exercise. You may also notice an improvement in memory and concentration at school or at work. 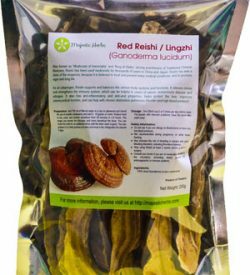 For older people or people with various health conditions, the effects should be more pronounced, especially in terms of energy levels and, longer term, alleviation of health conditions that Jiaogulan has been shown to affect positively. For example, most people suffering from diabetes will start noticing an improvement in blood glucose levels within 4 to 8 weeks of daily Jiaogulan consumption, and further improvement the longer it is taken. Also, the impact on mental clarity and memory should be more noticeable than in younger people. Jiaogulan is a powerful herb, but it does take some time to start feeling its effects. Some people start seeing results in a few days or a week or two. Generally speaking, sustained results are experienced after 4-8 weeks. Is it safe? How long should I take Jiaogulan? 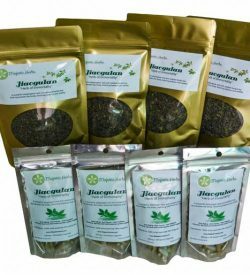 Jiaogulan is not addictive in any way and has been shown to be safe for long-term daily use both in the lab and by hundreds of years of traditional use. It will support better health and balance as long as it is consumed on a regular basis. Yes! However, Jiaogulan is NOT recommended for very young children (less than 2 years old). Older children can safely drink Jiaogulan, but the amount of tea may be reduced to half the adult recommended dose for children under age 15. To be on the safe side, we suggest you start with lower doses, and increase as necessary if you don’t notice any negative effects. Are there precautions for people taking prescription drugs? Yes. Please visit our page on Jiaogulan’s contraindications for details. Are there any side effects from taking Jiaogulan? The only reported side effects are nausea and increased bowel movement frequency and volume. Please visit our page on Jiaogulan’s side-effects for more detailed info. 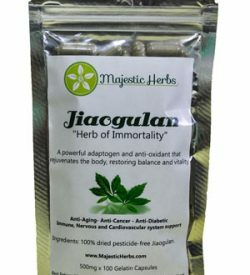 Is Majestic Herbs Jiaogulan organic? Yes, our Jiaogulan is 100% organic and pesticide-free. Jiaogulan is naturally resistant to pests and insects, so pesticides are not necessary. In addition, our farmers are under the Royal Project of Thailand initiative, which was developed by the Thai Royal Family to promote organic and sustainable farming in Thailand. To learn more about how we grow our Jiaogulan, click here. However, we do not have an official Organic Certificate, because the costs of obtaining such a certificate in Thailand are very high compared to the incomes of the farmers we work with, so they generally avoid undergoing the process. Does your Jiaogulan contain preservatives? There are no preservatives or any other additives in our Jiaogulan. No, Jiaogulan is completely caffeine free! Which parts of Jiaogulan are used? The leaves are the richest part of Jiaogulan in terms of saponins. We only use the leaves in our tea, although both the vine and the leaf may be used. How do I prepare Jiaogulan tea? Click here for detailed instructions on how to prepare Jiaogulan tea. Have any scientific studies been done on Jiaogulan? What is the shelf life of your Jiaogulan? Our Jiaogulan has a shelf life of about 18 months, provided it is kept in a sealed container, in a dark and cool place. What is the recommended daily dosage of Jiaogulan? 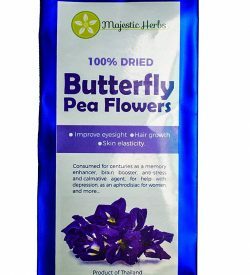 Please see our detailed dosage recommendations here. Where can I get Jiaogulan? Right here on our site! Just visit our shop.